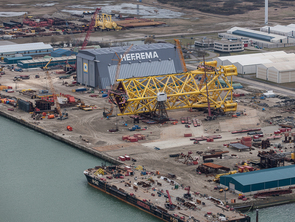 The Heerema Vlissingen fabrication location is specially equipped for the execution of EPC(I) topsides projects up to and including 3,500 tons and all sizes of jacket constructions. 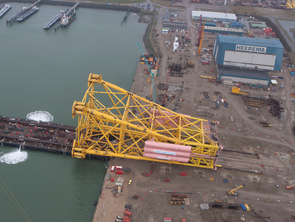 The Vlissingen facility is strategically situated on an industrial estate in the harbour Vlissingen, in the South West of the Netherlands. It is easily accessible by road and inland waterway. The yard has an unrestricted access to the sea. The 200,000 m2 construction site has a 720-meter quayside, of which 450 metres are available for load-outs up to 20,000 tons.